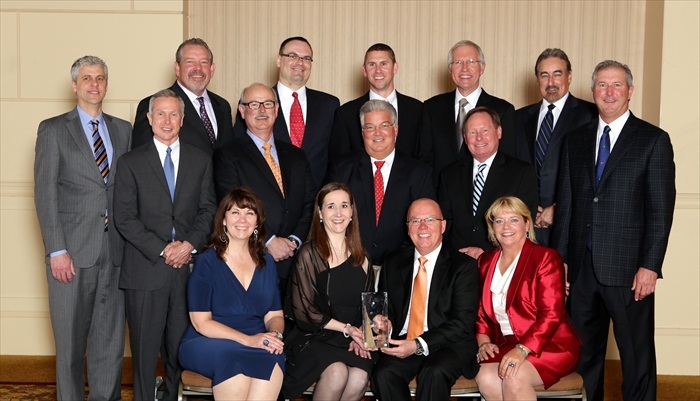 TMHU selects its top dealers, representing approximately the top 20 percent of the dealer body, each year from a North American network of dealers, recognizing them for demonstrating excellence in parts, service and equipment sales, customer satisfaction and overall dealership operations. This year, 15 winners earned the coveted award and were acknowledged at Toyota's National Dealer Meeting in the Austin, Texas area at the Hyatt Lost Pines Resort & Spa. "The President's Award provides TMHU with a way to recognize dealers committed to top quality service and support," said Jeff Rufener, president of TMHU. "The winning dealers consistently exemplify Toyota's dedication to their customers and set the bar for industry excellence." tlas Toyota Material Handling, Schiller Park, Ill.
Conger Toyotalift, Green Bay, Wis. Hull Toyota Lift, Elkhart, Ind. Madland Toyota-Lift, Inc., Bakersfield, Calif.
ProLift Industrial Equipment, Louisville, Ky.
Toyota Forklifts of Atlanta, Scottdale, Ga. The President's Award, TMHU's highest honor, has been awarded to select dealers since its inception in 1990 to acknowledge their outstanding business accomplishments. To demonstrate the company's appreciation, each President's Award recipient received an exquisite Tiffany & Co. crystal award. TMHU also is hosting a trip to Hawaii for the award recipients.